This broad category includes several tools for transporting liquids within the research laboratory. Under the pipette tip subcategory, you will find micropipettes, aspirating pipettes and serological pipettes up to 50ml in volume. 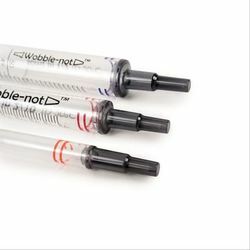 Our reservoirs category feature a growing list that include laboratory standards such as 25ml and 50ml, but also newer 5mL “Shorti” troughs and our AND-1 divided reservoirs that are perfect for multi-channel pipetting. Syringe tips are special tips that work together with a repeating pipette. They may be filled at once with a larger volume of liquid and repeatedly dispense an exact amount up to five consecutive times before being discarded. 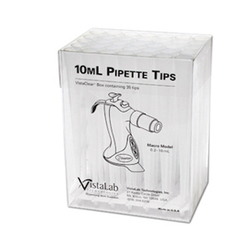 Transfer pipettes are the simplest to use and come in a variety of bulb sizes and narrowness of tip. Unless otherwise specified, all our liquid handling tips and products are RNase/DNase clean with certificates available upon request. Look for our beloved Teepa tips in the micropipette group. These excellent low retention tips are valued for their sturdy construction and No-Stick coating that produces a higher level of accuracy and precision.